Do what you enjoy most! 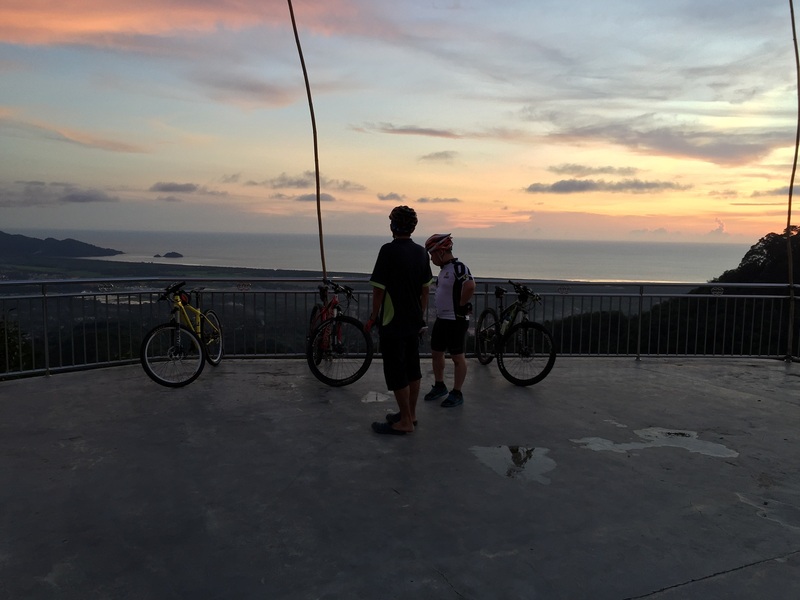 About Me – How I Got Into Cycling? 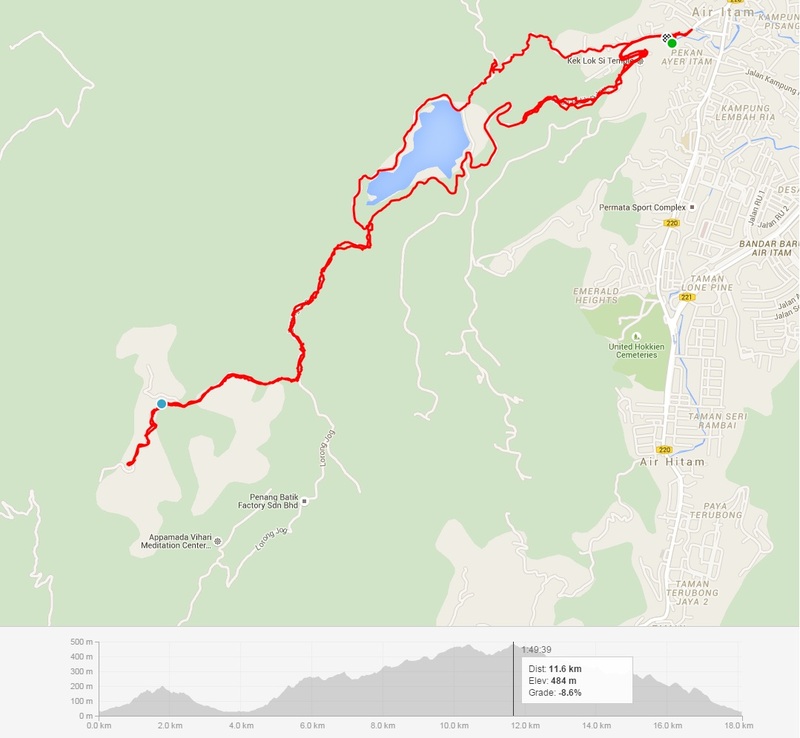 I guessed I can write a series of trails those brunches off from Air Itam Dam and Sungai Ara. 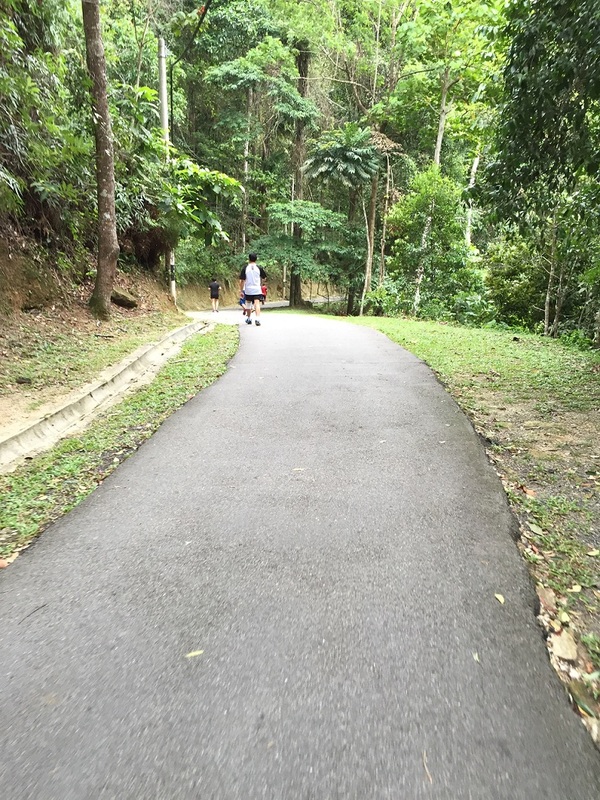 For the past 1-2 months I have blogged about 4 trails that just lead from Air Itam Dam trail. Total I have blogged about 5 pages just about this place. And today, I am going to add an additional trail to it. 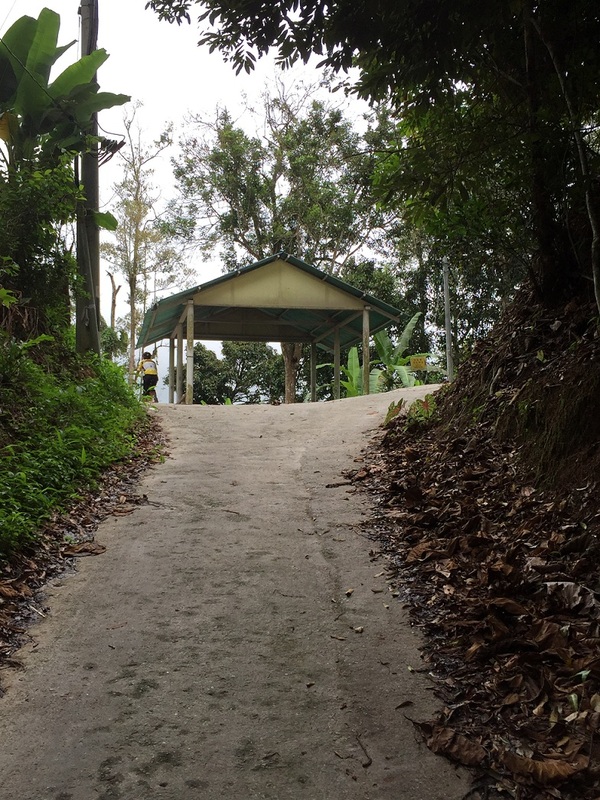 If you all have follow my blog closely, there is an alternative route that lead to Air Itam Dam and I am going to continue with this trail. 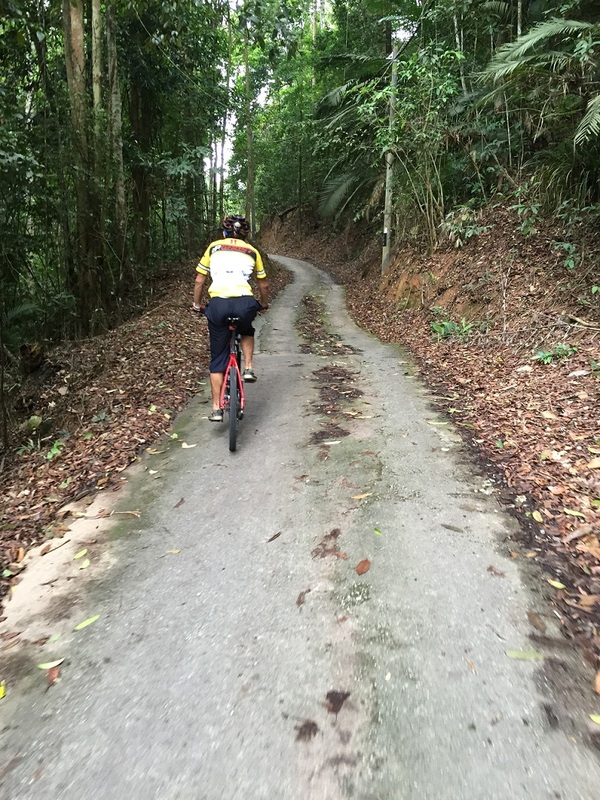 This is a very short ride with just 1.9km going up but the climbed is 303m. If you ride Carpet regularly and you think Carpet is hard, then this tougher. Carpet is 3km and with just a little bit above 300m height. How to get here? 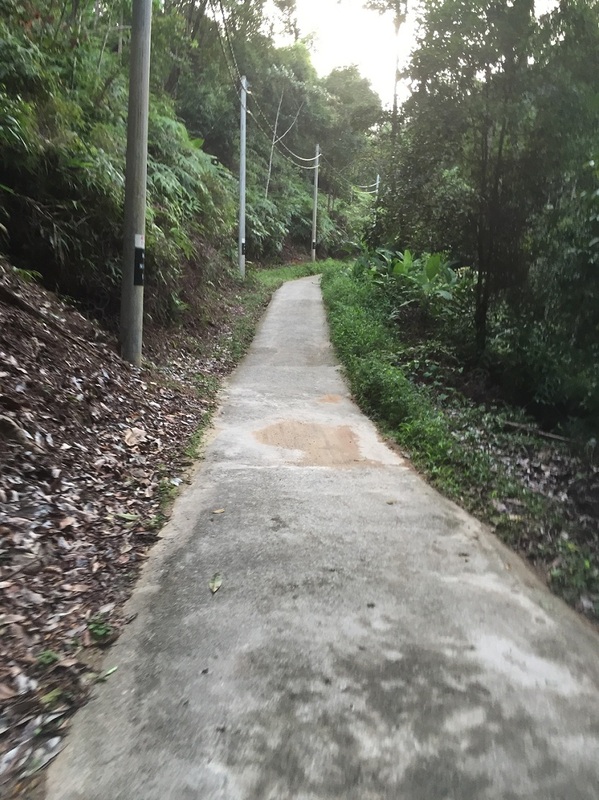 This trail is actually a continuance from my previous blog. 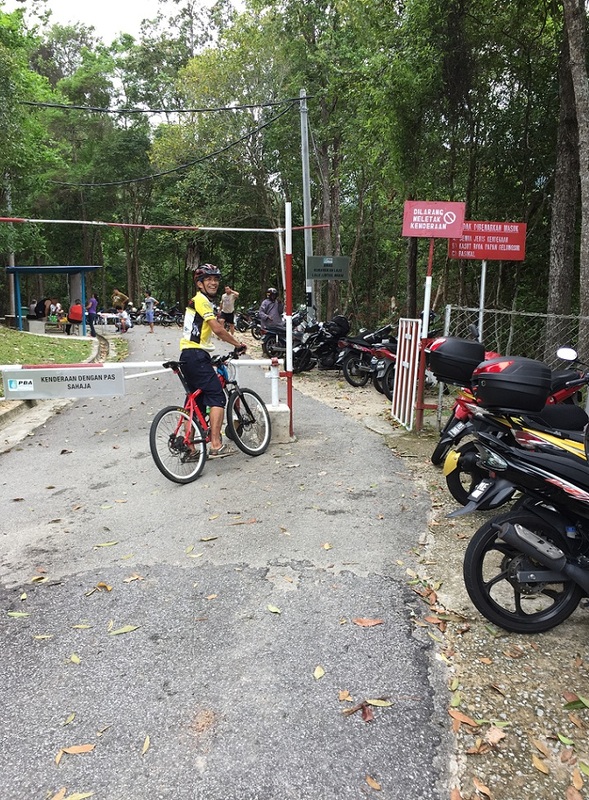 You may refer to this link – Alternative route to Air Itam Dam. 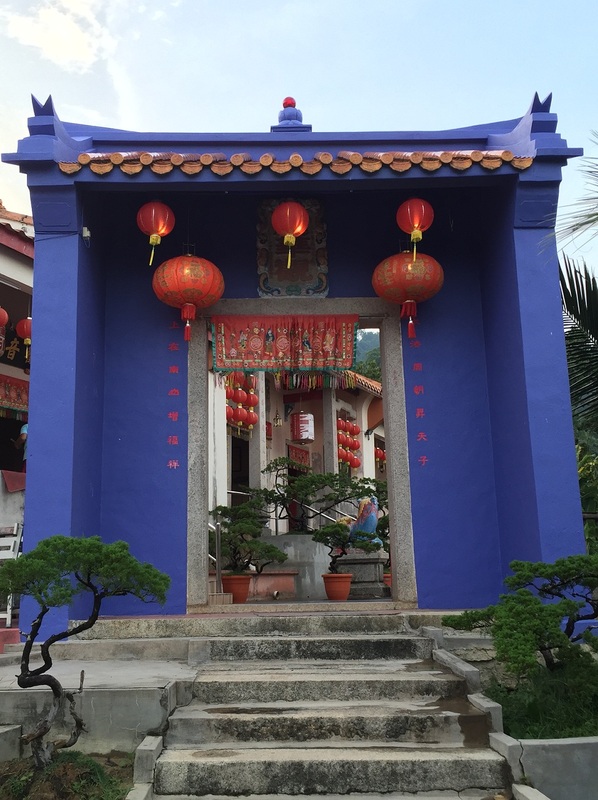 Then, you can continue with the pic below where the Tua Peh Kong Temple is. Also, this is where the hut is located. You will need to take right path instead of going thru the hut. Actually, they are all interconnected as you can see it from the map above. 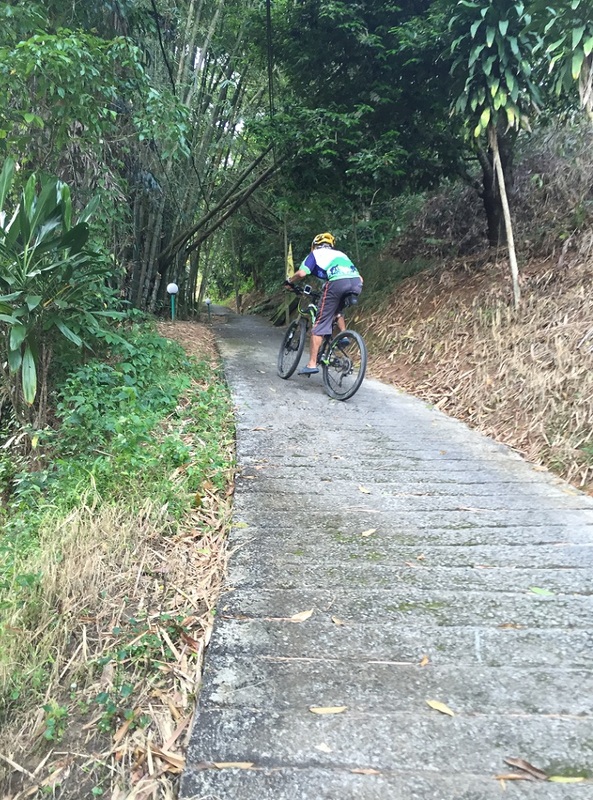 As you are pedaling up to Tua Peh Kong Temple and if the steepness is already killing you. The route to Lotus Temple will not get any easier. It is getting tougher with higher gradient. 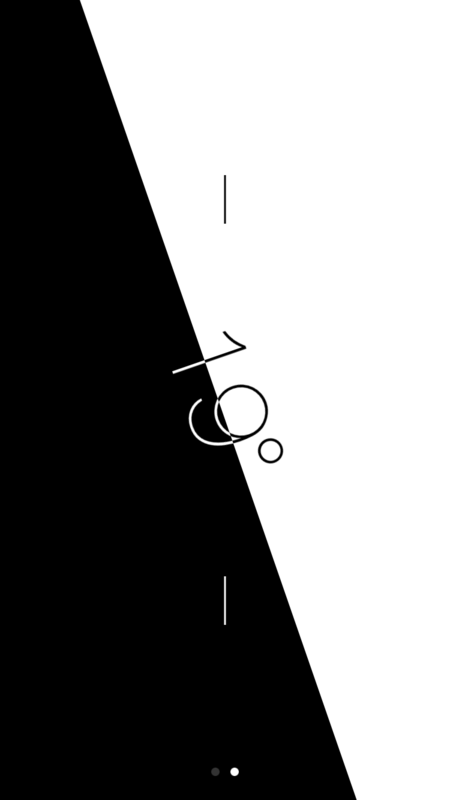 But, the max gradient is 27 degree. The very last part of trail looks very steep but it is only 19 degree gradient. It is one of the toughest too as you will need to turn and going up the sloop. Probably need to off the saddle to conquer this. The reward? Are these and building your leg strength. Well, enjoy your ride and I think I will stop blogging about this place for now. Will look for other new places. 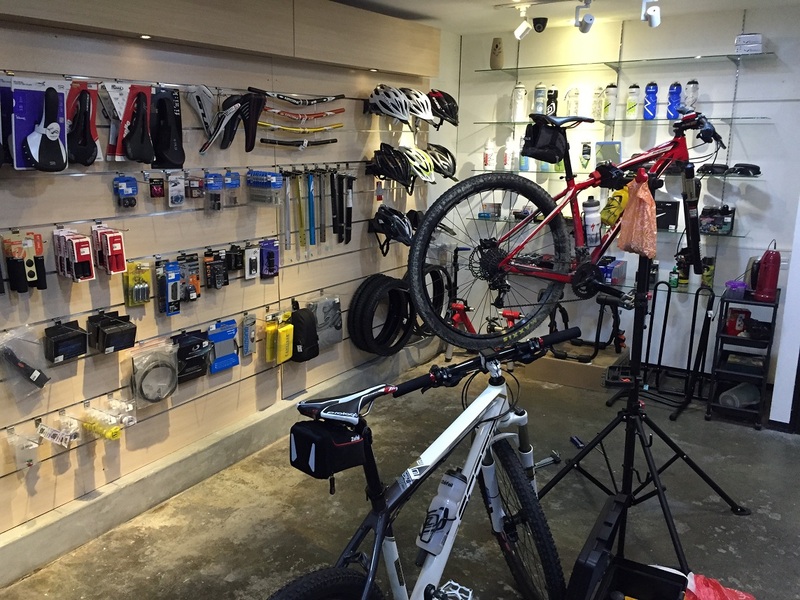 Lately there is booming of bike shops in Penang. I guessed there are more and more people starting to cycle here. This is quite true comparing 3 years ago when I started cycling as there aren’t many cyclists on the road. Nowadays, you can see them everywhere and anytime. Also, motorists are more aware of their present. So, which shop to go since there are so many of them? I am sure each of you in Penang has your own favorite shops to go. Me? I shop for best deal or parts availability. Of course, service is important too. Lately, I have been to 3 shops to either get my bike serviced or purchased parts. Let me do a review for each of these shops. Lately I got few things from their shop such as tires, skewer, 180mm disc rotor, disc brake adaptor and power gel. 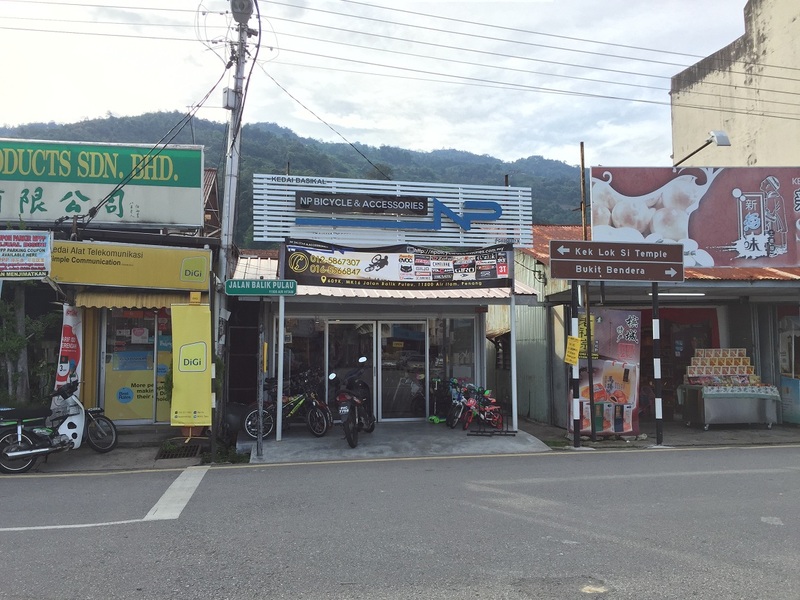 The shop is run by 2 partners, Mr. Lim and Mr. Tan. Mr. Lim is the technical guy who mainly does all the bike services. I am very careful when comes to spending and I notice this shop their prices are quite reasonable. Like some of the stuff I bought is ~3-6% cheaper than majority of the shops in Penang. 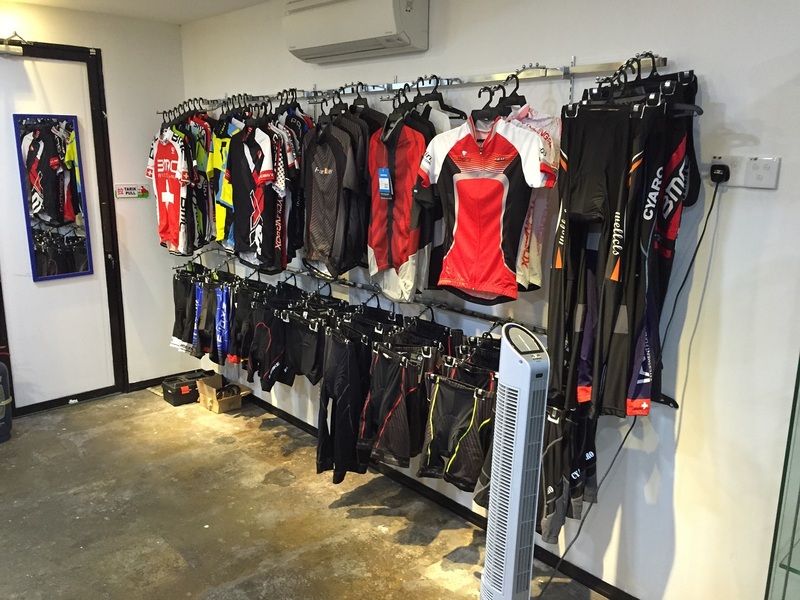 They do carry quite a number of branded stuffs like Maxxis, 3T, Cateye, Shimano and Selle Italla. The other 1/2 of the items you can see here are online purchase from China. I would definitely come back to this shop for more purchase. 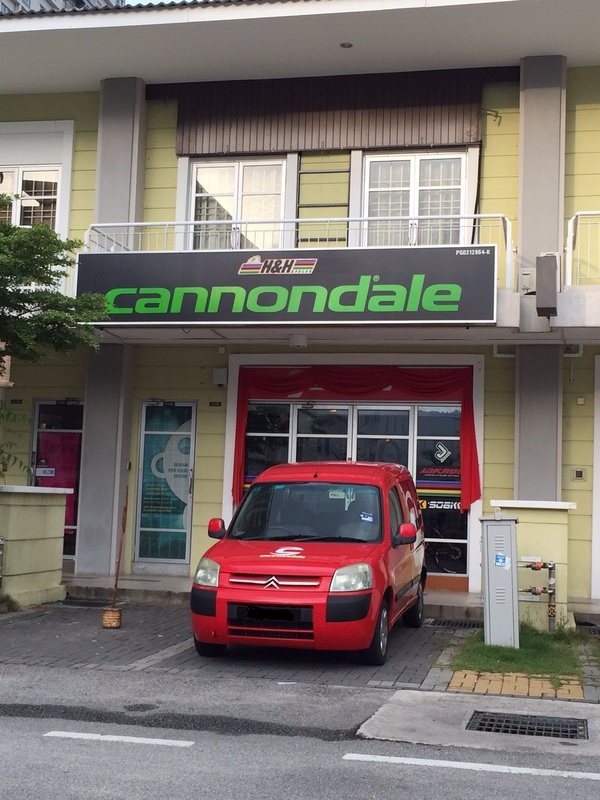 This is another shop opens not long ago and they are the distributor for Wheeler and Author bikes in Penang. These are the European brands but the brands are not moving well here. I am not going to say anything about the bike here as I am going to write about the accessories they carry. They carry lots of Brakco disc rotor and many other accessories. They are not the cheapest but I will say quite reasonable comparing with many other places. They have torque wrench, bike working stand, bicycle rack and many more. You ought to come here and see for yourself. I bought a Maxxis Crossmark from them and a bottle of mineral oil for my brake. Their pricing is about 10% more than most shops. I am just happened to be around that area and I need it urgently. Good selection of products but bit pricy. The owner is very helpful and able to converse in English very well. This is another place I have blogged about them weeks ago and you can find the link here. These are shops that pops out past few months or past year except for H&H. If you happen to find a better shop or pricing, do let me know and I can start to explore. It has been awhile my MTB had a brake issue. Somehow the brake fluid was leaking thru somewhere and left me with no brakes. 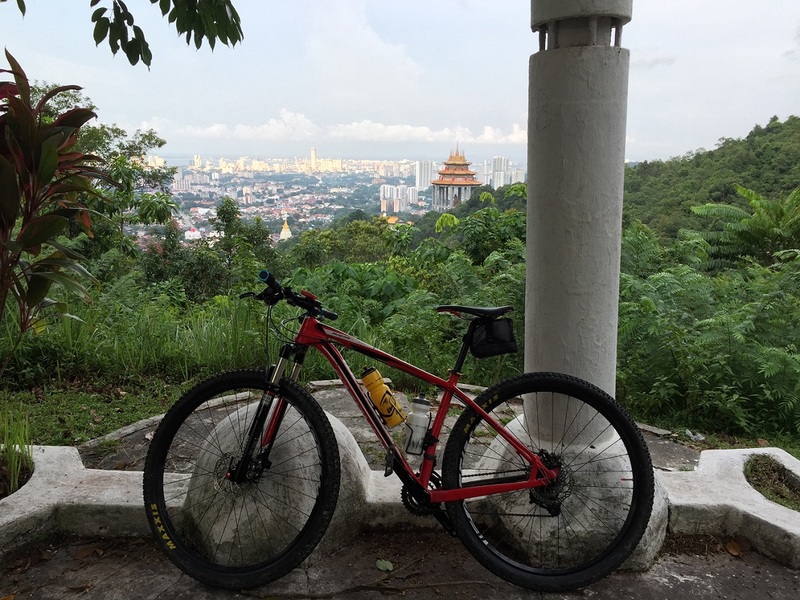 Not many people in Penang know how to service or have the tools to service the Magura brakes. Most of them know how to service Shimano, Tektro and Sram Avid only. As far as I know, there are only 2 shops in Penang Island that know how to do this job. They are Specialized and H&H Cycle. The reason being so is because Specialized and Cannondale higher end bikes use Magura brakes. I tried to service the brake on my own but I could not find anyone who sells the bleeding kit. So, I have no choice but to send to H&H Cyle for service. Why H&H? Well, my last service in another shop almost got me killed. The chief mechanic wasn’t the person who performed the bleeding but another person. My brake pads were oiled and the brake wasn’t filled up properly. The brakes were softening after a few rides which didn’t serve me any good. So, this time I gave it a tried to H&H Cycle to service the brake. I find the owner very pleasant and helpful and I got my brake serviced within a few hours. It was cleaned, filled and feel right when I applied the brakes. Well, the 1st few braking was making noises as he sprayed some cleaning device on the pads. Once the pads were bedded the noises were gone. 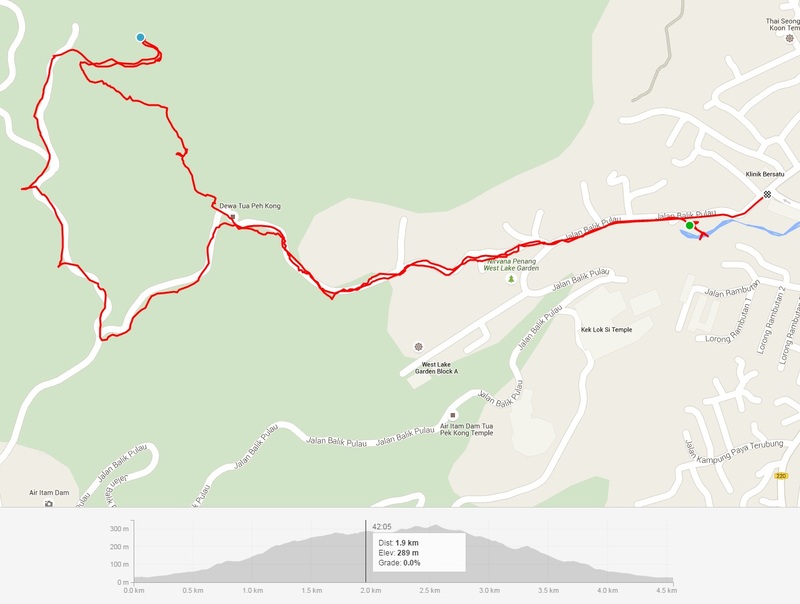 I felt more confident when I did a downhill at Mt Erskine on the same afternoon. 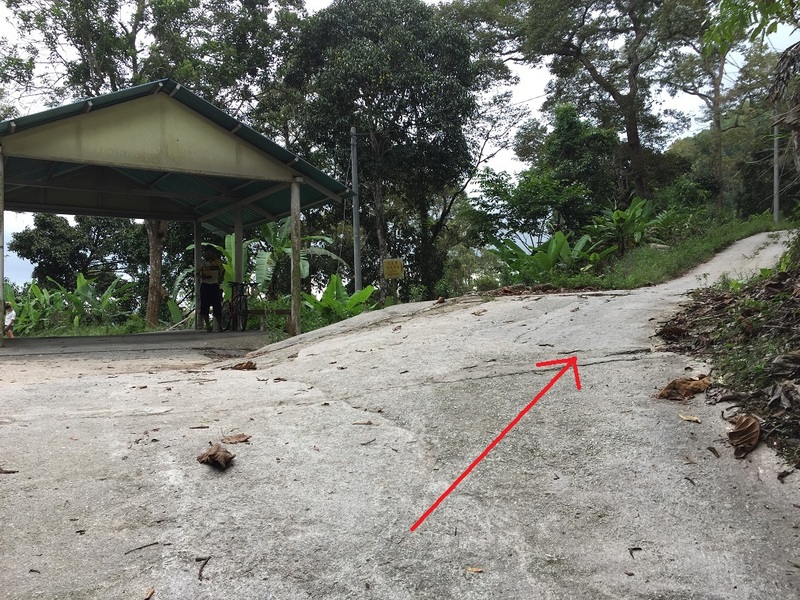 This is another area where it branches off from Air Itam Dam (AID) trail. 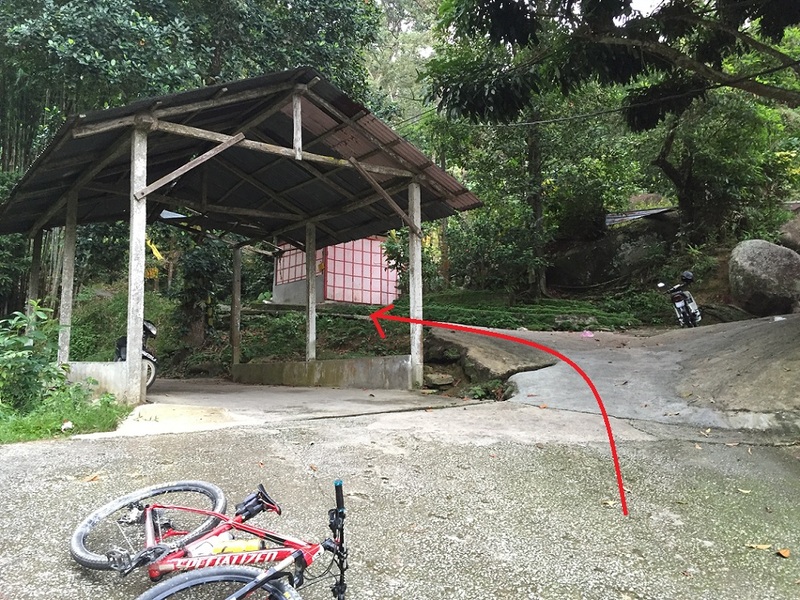 After doing 1200 steps and climbing Air Itam Dam trail, if you still have more energy left then this is another area you can explore. From the dam to Hill-turn is not a difficult climb as it is quite gradual and I would estimate 3-5 degree gradient climb at max. It is only the last 30m climb to the hut is the hardest. This trail is for anyone who has some physical fitness able to do it. 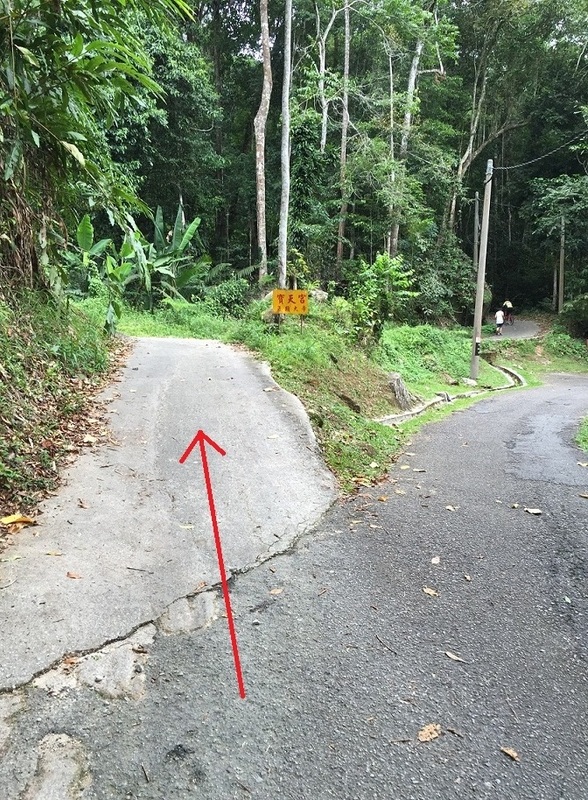 Hill-turn is where it branches off again to 3 other areas – Ngor Hean, Oh Kio (Balik Pulau) and Nam Sua (South Hill). In this blog, I am going to write more about Ngor Hean. The entrance to Hill-turn (some call it Hilton and I still have no idea why) is just next to the AID car park. Do ride slowly here as there are a lot of joggers that run around the dam. 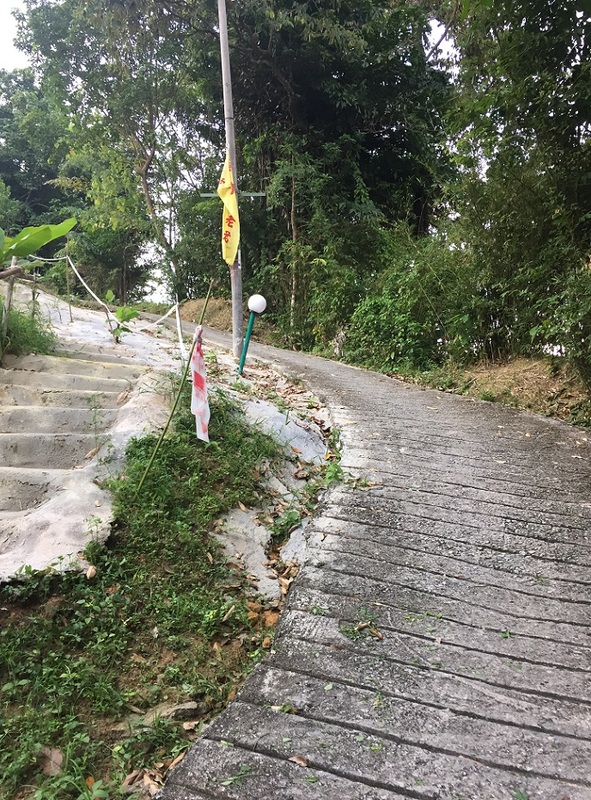 To proceed further to Ngor Hean, you will need a bit more physical strength as the slope is getting steeper (5-10 degree gradient) but very wide path. 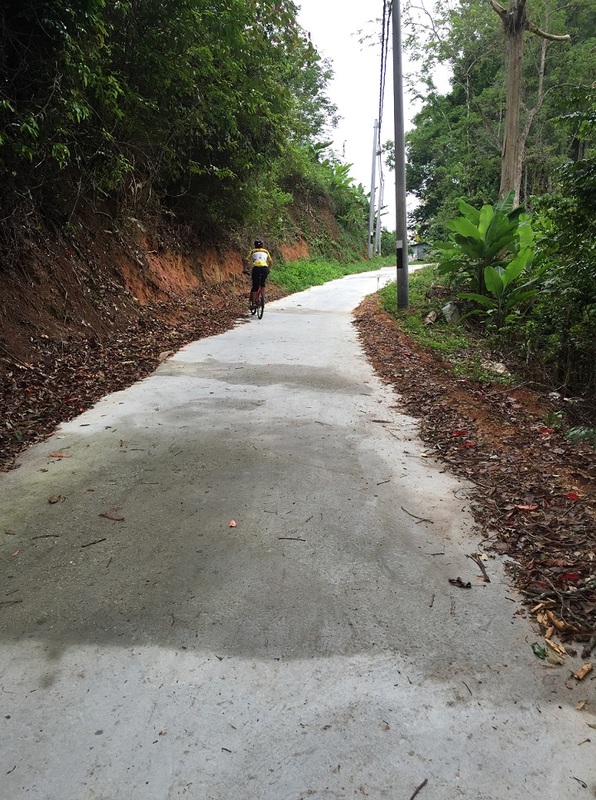 They just paved the trail again with cement. It was really smooth this time and no moss which I find them a little bit less challenge or unnatural. 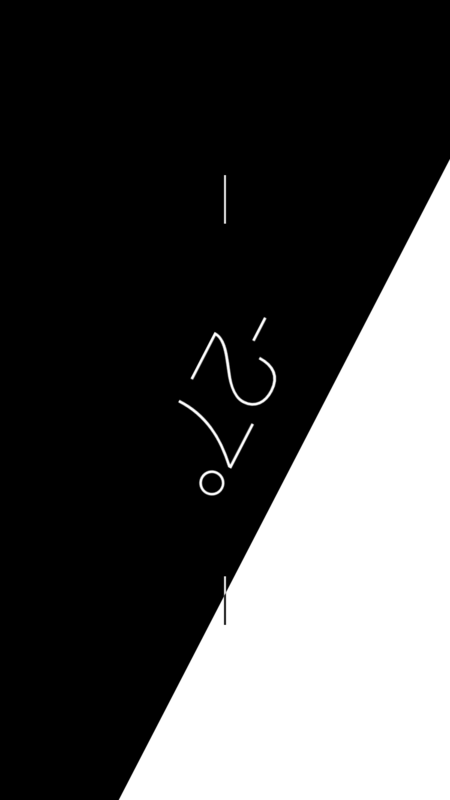 Upon almost reaching the top, there is a split of 2 paths. One is to a Chinese Temple and one is to a vegetable farm. Just follow the pic below and follow the red arrow. 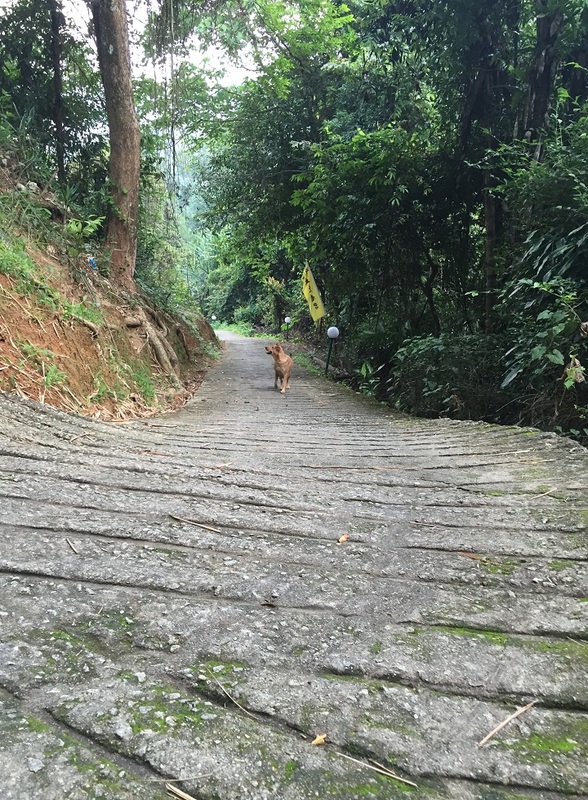 The vegetable farm has a lot of dogs which is not advisable if you are afraid of one. But, reaching the destination (Chinese Temple) was breath taking. It has an open area for you to rest and chit chat which you can see a lot of people during weekend’s morning. 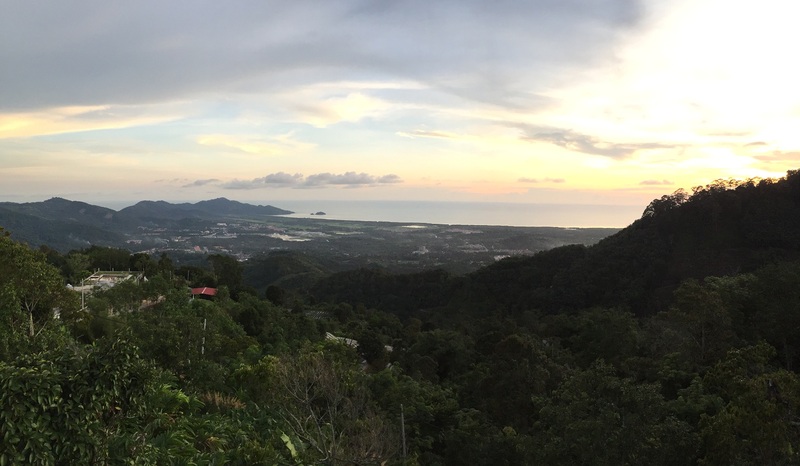 The breeze was really nice and you can get a beautiful view. 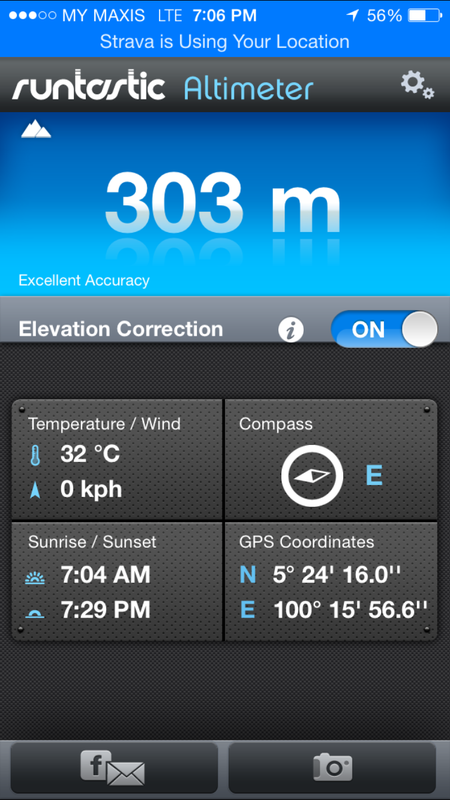 The highest elevation here is 484m. 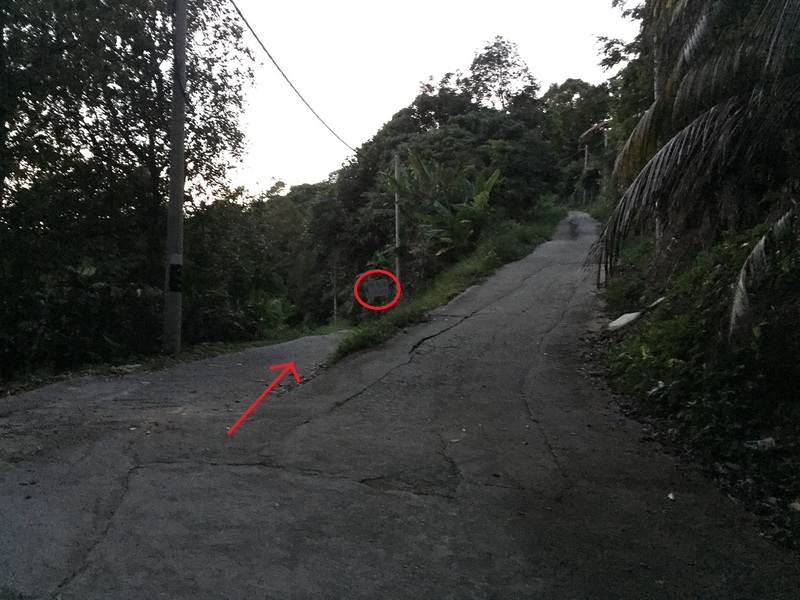 These trails are share among hikers, joggers and mountain bikers, so please do be very careful when coming down hill. I know each of us love the adrenaline fill up our blood stream when coming down hill fast. Just be very careful especially during weekend’s morning or evening. This is a 2nd helmet that I got for my daughter. The 1st was not much of a protection. The reason I must have this for her was because she has started to ride on a road and no longer riding around my apartment. Also, as she changes her bike to a bigger size so does the speed. 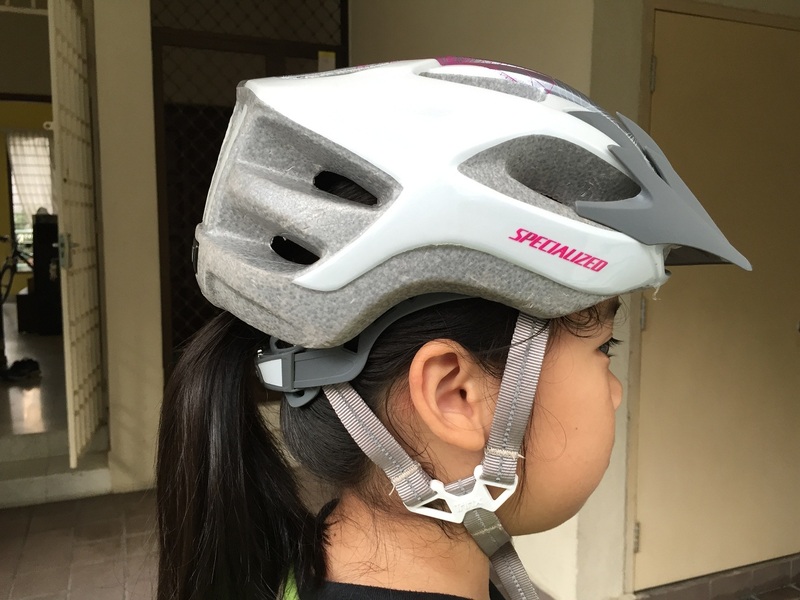 We have looked around for children helmet in Penang and none that suits her head or not enough protections. Most of the children helmets selling in Penang are toy helmets that come from China. This is not something that worried parents would want. 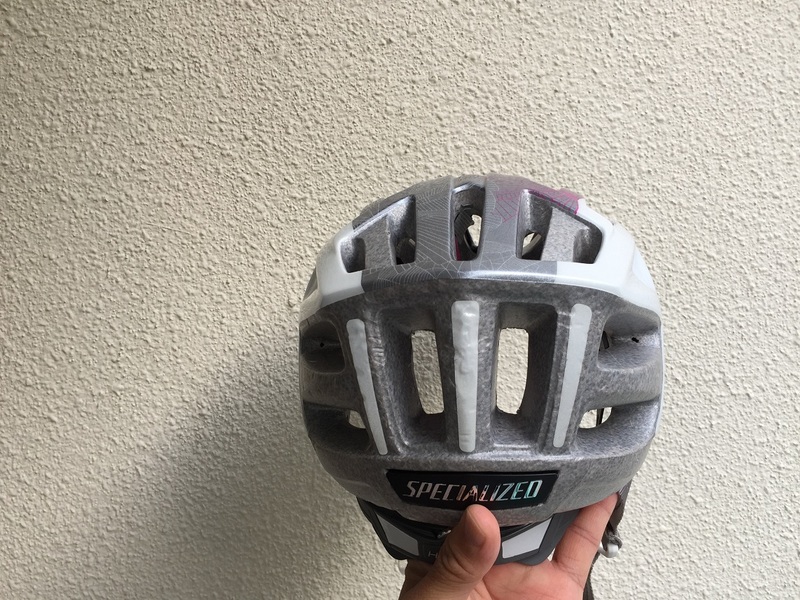 Until we came to Specialized shop and saw this helmet. 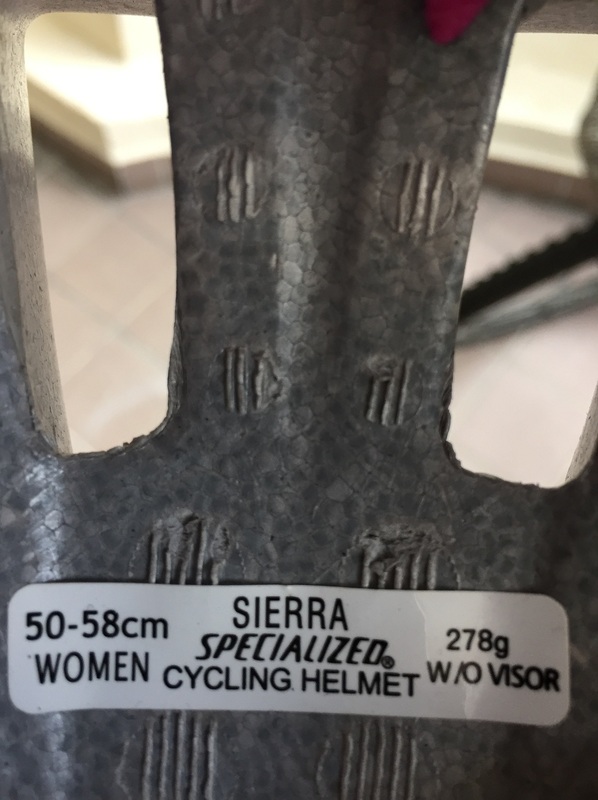 This is actually a women specific helmet for a few reasons. 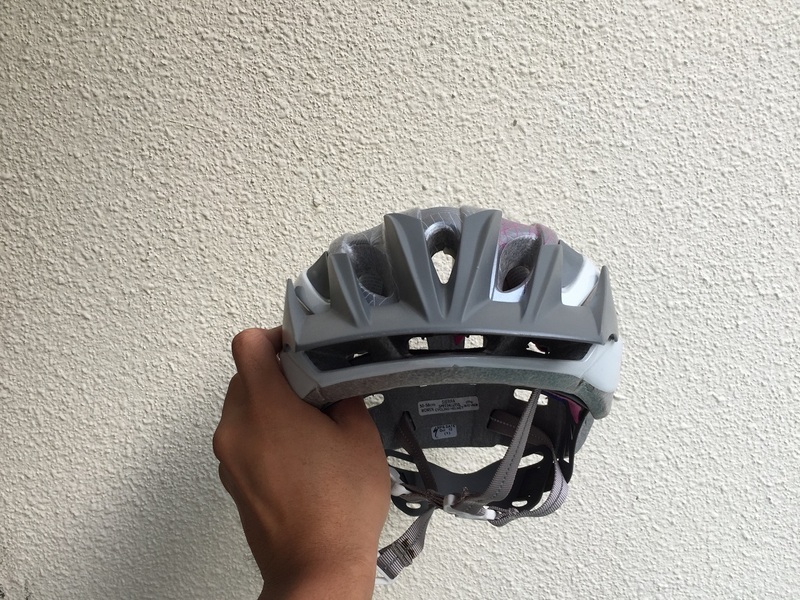 It is 1 size system based on women’s head sizing. Layman’s term is 1 size fits all. This is quite true as I put on the helmet for my daughter, it stay fits. It doesn’t move from side to side or front to back. 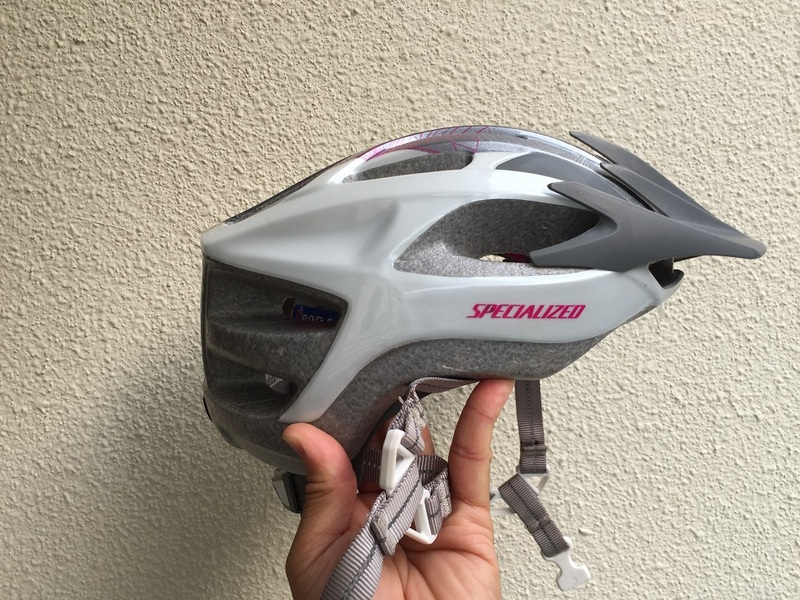 Second selling point to this helmet is Ponytail-ready HairPort SX fix system. 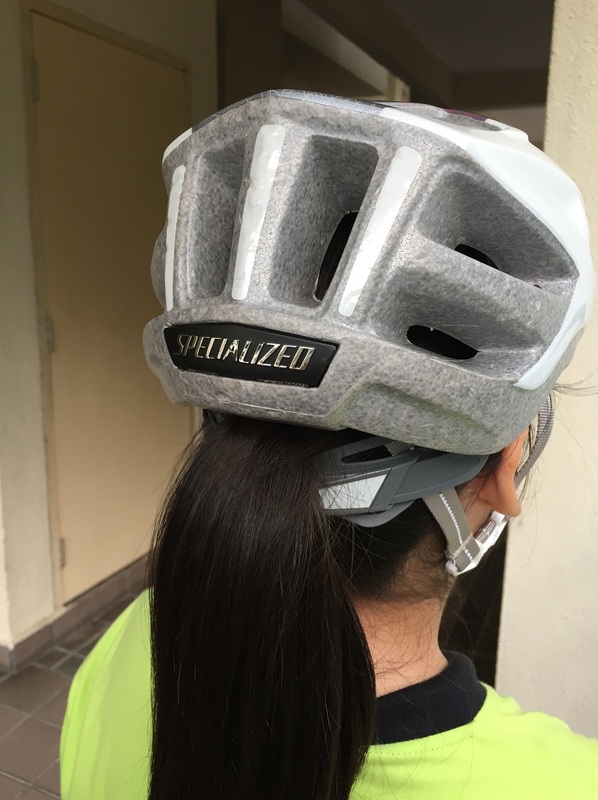 This is also important to her as she keeps long hair and her ponytail can easily get thru between the mirco-adjustable dial and helmet. The Tri-Fix design comes in very handy for me and her. Her 1st helmet I have to make the adjustment on the straps from now and then, just to keep it fit. Now, it is trouble free for both of us. The 2 fingers Headset Dial can easily adjusted by her. Basically, she can put on the helmet all by herself without me helping at all. But, it is always recommended to check on them occasionally especially the younger ones. 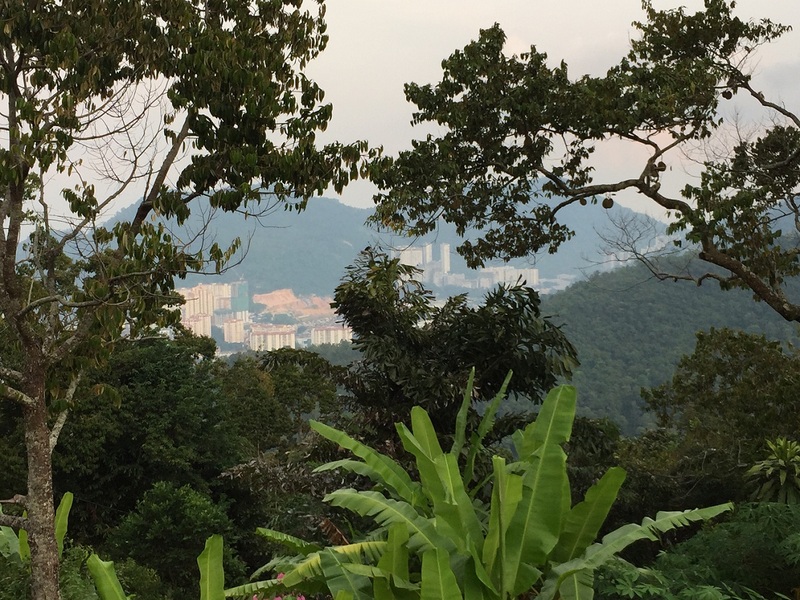 As mentioned in my previous blog that Malaysia weather is superhot and humid. Good ventilation is very important. 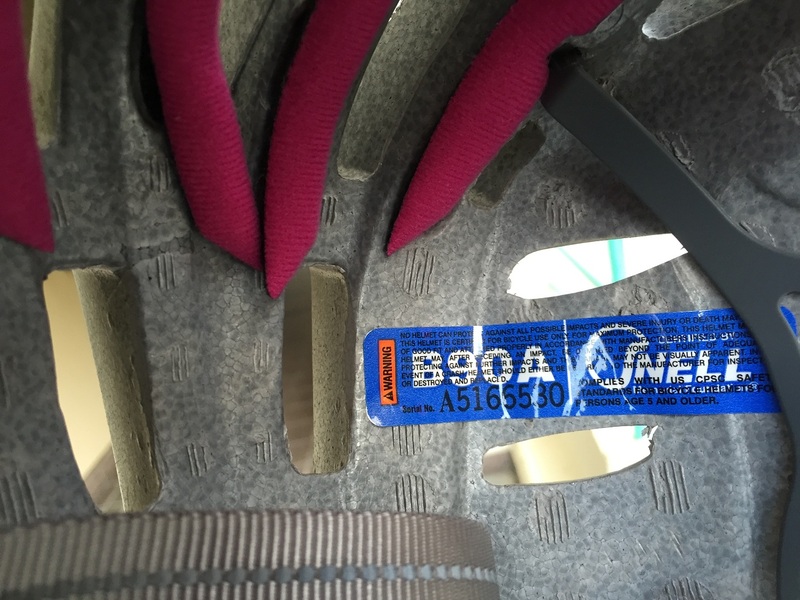 This helmet has 24 vents to cool down the head which I find it quite effective after a long ride. I noticed my daughter’s head is not soaking wet comparing with her 1st helmet. Is ~280g heavy? 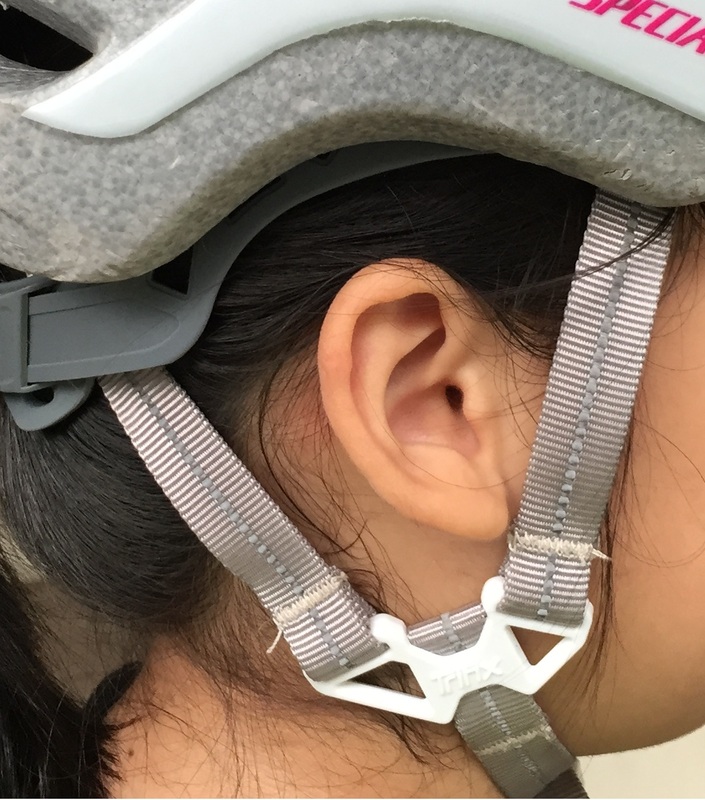 Well, I don’t hear my daughter complaining about her neck after an hour ride or more. I guess, this is very subjective manner too. 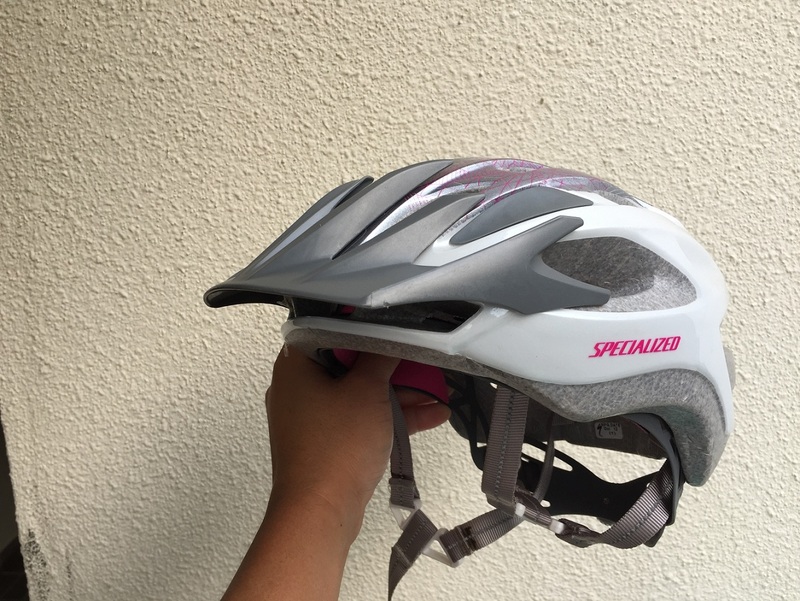 Again, the safety features are same as my Specialized helmet. It covers all these:- CPSC, SNELL B90A, CE and AS/NZS. I really can’t find fault with this helmet besides all the good only.